Nasonville Dairy has history way back to 1885. It was in the mid 1960’s the current family, the Heimans’, came to the area and became the managers, operators and eventual owners. Today, spanning multiple generations, father – sons – grandchildren, the Heiman family continue to carry forward the knowledge and passion for cheesemaking and dairy farming within Wisconsin. Ken Heiman is today’s General Manager for Nasonville Dairy. Ken continually stresses the importance of consistent quality dairy products produced for specific marketplace use, not just mass-produced. The entire family and staff at Nasonville Dairy have dedication to this goal and work at building relations with vendors and customers alike to ensure we meet the demands specified by our valued customers. Ken serves proudly alongside brothers Kim and Kelvin as Nasonville’s management team. All the Heiman brothers are proud to carry forward lessons learned by their father and mother, Arnie and Rena. 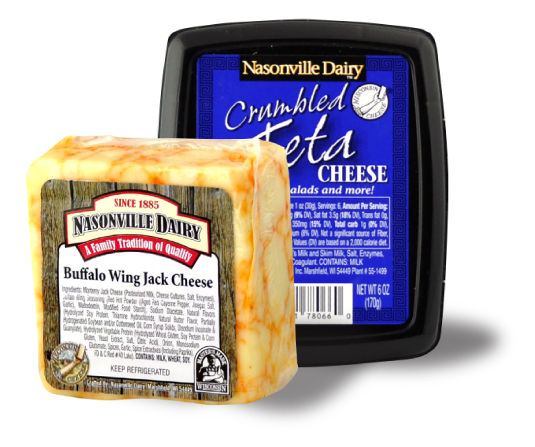 Nasonville Dairy is home to over 24 cheese varieties along with several style and flavor variations of those varieties. This ends each day with Nasonville converting about 1.5 million pounds of milk into about 150,000 pounds of cheese daily. This gives you a choice from Mild Cheddar or Feta to zesty Habanero Jack or flavorful Spinach – Artichoke & Garlic Jack. Along with innovative signature flavors such as the sliceable Blue Marble Jack. From Sweet to Savory or from Hot to Hotter we can create that balance of cheese and flavor in one body. 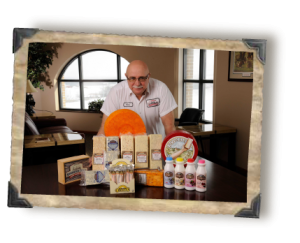 Nasonville Dairy is home to multiple Wisconsin Master Cheesemakers! While Wisconsin is home to approximately 1,200 license cheesemakers, it is also home to a very rigorous training program that requires years of experience (10) and multiple classes at the University of Wisconsin – Madison over three years of time, not to mention plant audits and product evaluation to the highest standards! 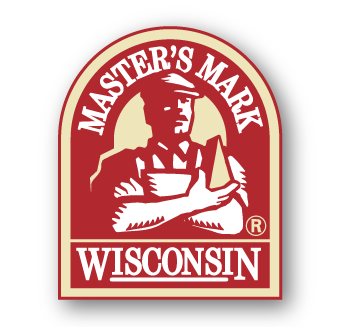 Nasonville Dairy is very proud to callout that three of the cheesemakers (including the general manager Ken Heiman) on staff are Wisconsin Master Cheesemakers.